Pakistan Railway had 266 Trains in the ruling of Ex-President Prevez Musharraf which are now left only 76. The Corruption in previous Government was on peak in Pakistan Railway and everyone from top official to lower management earned his share in corruption. The condition was so bad that previous government suspended the operation of luggage trains and once the only 5 trains were available to handle cargo. Pakistan Railway had 266 Trains in the ruling of Ex-President Prevez Musharraf which are now left only 76. The Corruption in previous Government was on peak in Railway Department and everyone from top official to lower management earned his share in corruption. The condition was so bad that previous government suspended the operation of luggage trains and once the only 5 trains were available to handle cargo. The current Railway Minister is very keen to bring back the Railway Pakistan as a profit earning organization and his short term steps showed some positive results as well, the current government as added 4 more cargo trains and now total of 9 cargo trains are available to handle the cargo operation in Pakistan. 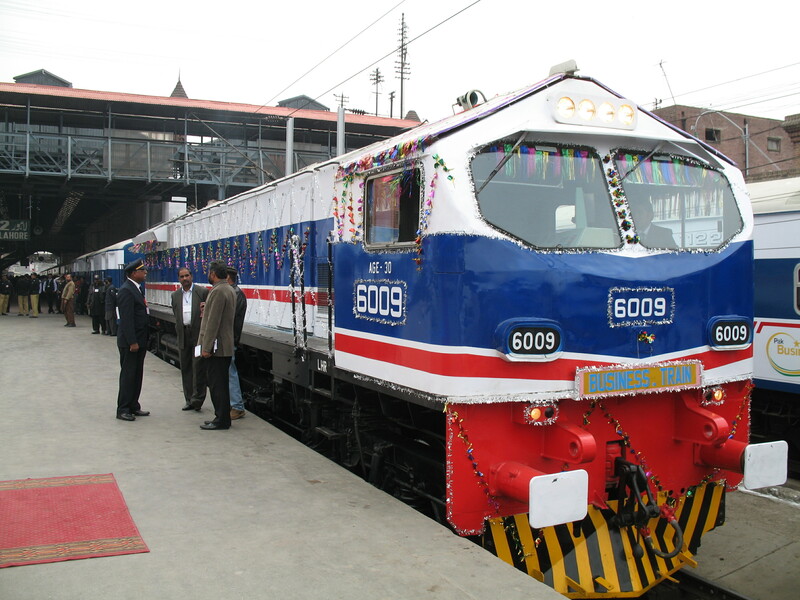 At present time, a total of 76 Passenger Trains are available to provide residents of Pakistan travelling facility. Pakistan Railway faced unbearable loss when Ex-Prime Minster of Pakistan Benazir Bhutto killed in a terrorist attack in Rawalpindi. Several trains were burnt by protestors and Railway suspended the operation all over Pakistan. On the other hand the terrorist attacks on trains resulted in loss of several human casualties and Railway also suffers loss. Now the Railway Ministry has decided to increase the number of trains to 100, while these trains will run on important and profit earning routes only. Pakistan Railway is also planning to purchase drones for the safety of its trains.